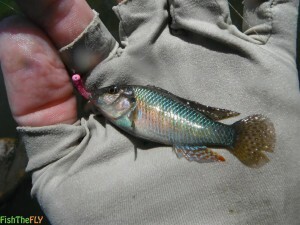 How To Catch Dwarf Kurper (Southern Mouthbrooder) On Fly? A lot of people ask is the Dwarf Kurper the same thing as a Southern Mouthbrooder? The answer is yes, and this page is dedicated to helping you learn more about this beautiful freshwater fish species (Definitely one of the prettiest fish in South Africa). The Dwarf Kurper (Pseudocrenilabrus philander) gets it’s name from the fact that it is the smallest species of Tilapia in the South African waters, and the mouthbrooder name comes from the fact that the female of this species keep the eggs and juvenile fish in her mouth. The Dwarf Kurper (Southern Mouthbrooder can attain lengths of up to 15 centimeters, and these fish can live for over 5 years. The breeding male Dwarf Kurper is one of the most striking fish in the Country. When they are in breeding/spawning mode their colours are fantastic, and can be seen illustrated below. The males lips also tend to go metallic blue, and these fish are studied quite heavily in aquariums, where they are used for research purposes. 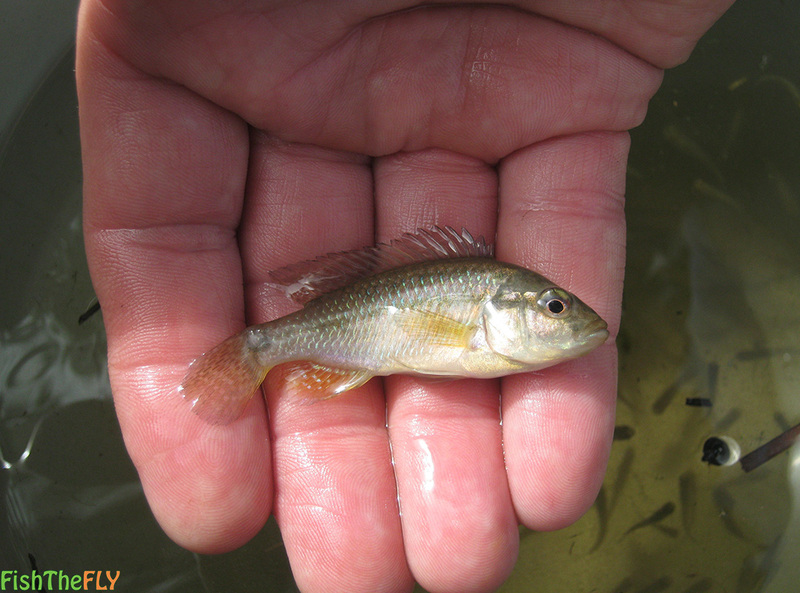 The Dwarf Kurper is often the first fish to take up residency in a dam or body of water, and is one of the last fish to be eradicated. They are hardy, highly adaptable and very tough. This thriving fish species can be found throughout all the provinces in South Africa, and occur in well vegetated areas in dams, weirs, lakes and other stillwaters (As well as floodplains, sinkholes and marshes), to rivers and streams. The Dwarf Kurper (Southern Mouthbrooder) starts breeding in Spring and continues throughout Summer. The male constructs a nest and defends it aggressively. This fish is doing surprisingly well considering the introduced Largemouth Bass occurring in most habitats where this fish is found. 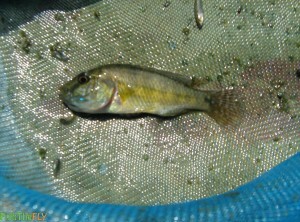 It is a species of Cichlid and despite it’s size, feeds on insects, crabs, shrimp, other organisms and even small fish. Surprisingly sand and small stones make up part of it’s diet as well. This presumably is digested by accident when building and constructing nests for breeding. The only areas you won’t find Dwarf Kurper are bodies of water that do not have any small stones or sand within them. These two items are vital for the Dwarf Kurper’s (Southern Mouthbrooder) breeding purposes. The Dwarf Kurper, despite it’s size, will readily take a fly and are responsible for many bites (But not a lot of hook ups) when fly fishing for other species such as Yellowfish and Trout (Amongst others). They will attack a variety of flies, but do prefer small streamers and nymphs. Targeting the Southern Mouthbrooder can be a challenge, you need tiny flies, size 16 and smaller (size 20 nymphs and smaller are the best). To have the most fun, a small 0 weight setup is best, with an extremely light tippet of 1lb. The Dwarf Kurper will not put up a strong fight, but it is a beautiful fish to catch and tick off your species list. These fish, as mentioned above, are often caught on smaller flies meant for other species, but the best flies to use for the Dwarf Kurper (Southern Mouthbrooder) can be seen listed below, just remember to tie them or buy them very small.